Jeff was born and raised in the Twin Cities. He and his wife Michele have three children, daughter Meghan (and son-in law Max) Kustritz, son Seth, a student at Winona State University and the youngest, daughter Delaney, a student at Mayer Lutheran High School. He earned his B.A. in Elementary Education from Concordia University Chicago and his M.A. in Educational Leadership from Concordia University in St. Paul, MN. Jeff has been teaching in Lutheran Schools for many years, starting in 1992. He has taught in Los Angeles, CA, Quincy Illinois and here in Watertown. Jeff's favorite subject to teach is History. Every other year he enjoys leading the 7-8th-grade class on a trip to Washington D.C. In his spare time, he enjoys spending time with his family and friends. His family attends St. Paul's Lutheran Church in Watertown. I graduated from Concordia University, Wisconsin with a degree in Elementary Education. I taught at Zion, Mayer for 5 years and then was a stay-at-home mom and farm wife for 11 years. I've been at CCLS for 17 years and am presently the 3rd & 4th grade teacher. I love teaching in a place where we can pray with and for each other every day! Julie grew up in Peoria, Illinois. She and her husband Stephen have one daughter, Sarah. They reside here in Watertown. Julie earned her B.A. degree in Elementary Education from Concordia College, Ann Arbor, MI. 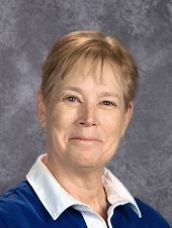 She has been teaching in Lutheran schools since January of 1989. Julie loves to share her passion for reading and books with her students. She also enjoys learning and sharing new topics with her students. In her spare time, Julie loves to spend time with her family. You can also be sure there will probably be a book nearby waiting to be read. Julie and Stephen are members at St. Paul’s Lutheran Church in Watertown. Neva has 13 grandchildren, three are attending CCLS. She grew up on a dairy farm in Waconia, then moved to Chaska. She attended Lutheran schools throughout her school years, graduating a Mayer Lutheran High School alumna. She sent her three children to St. James Lutheran School in Howard Lake, then MLHS. Christ Community School is a school ministry owned and operated by St. Paul's and St. Peter's Lutheran Churches. Oversees the management and direction of Christ Community Lutheran School. Maintains the physical facilities of Christ Community Lutheran School. Promotes fund raising and manages various assets used to support the operation and growth of Christ Community Lutheran School. I graduated from Mankato State University in 1990 with a degree in Elementary Education. My husband and I have two sons. I love the Lord, because he has heard my voice and my pleas for mercy. Because he inclined his ear to me, therefore I will call on his name as long as I live. My husband Al and I have 5 adult children. My work experience includes; healthcare at Presbyterian Homes, cleaning homes and industrial cleaning, teaching classes in art, geography and creative writing and everything else through home school experience. Some of my favorite activities are, visiting friends, time with grandkids, reading, writing, biking and hiking, drawing, painting and sewing. I love the family-friendly atmosphere and encouraging staff and parents at CCLS. My intent is to encourage and inspire the kids who attend AfterCare through play time, activities, hanging out and homework.